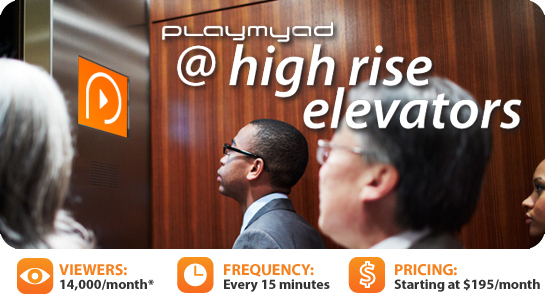 Give your advertising a lift with the PlayMyAd High Rise Elevator network. This one of a kind venue offers an opportunity to play your ad for a captive audience of upscale business professionals in elevators located in high rise office buildings. Catch the attention of these affluent professionals 5 days a week and influence how and where they spend their hard earned paychecks. 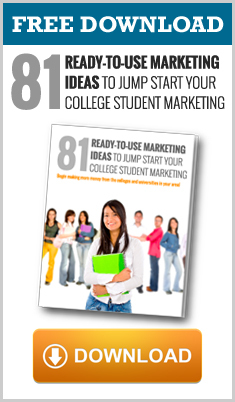 With 64% of the viewers discussing what they have seen on the screen, high rise elevator advertising is sure to give your marketing efforts a significant lift.